Join a caravan to Group’s 2018 Holy Land Adventure VBS, “Babylon – Daniel’s Courage in Captivity” Put the flannel-graph away, cause things just got real! Your VBS kids will go deeper into the story to understand Daniel’s reliance on prayer and his courageous faith. With this fun new Holy Land Adventure, Group brings the Bible to life with immersive activities and stories that connect with a child’s growing understanding of the world in which they live. BIBLE POINT: The-action packed story of Daniel’s exile in Babylon is the backdrop for this fun and informative Vacation Bible School experience. Day-by-day and station-by-station, kids will explore the ancient world to uncover the Bible’s mysteries and truth. Whether in the lion’s den or the fiery furnace, your kids will learn that no matter what happens, God will be with them. On Day 1, the story of Daniel’s capture illustrates that God is with you when things change. With Day 2, Daniel interprets the king’s dream to show that God is with you when you need help. Day 3 brings us to the scary story of Shadrach, Meschach, and Abednego in the fiery furnace as a reminder that even when you’re afraid, God isn’t far away. Daniel stays faithful to God even when his life is threatened to show that God will be with you when you’re lonely. At last on Friday, Daniel is rescued from the lions and gives thanks to God for being with him always! 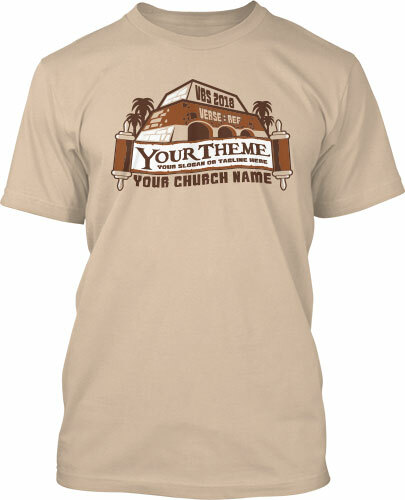 WORSHIP SONGS: You gotta love VBS music! Every theme and publisher has its own style and feel and each one serves to get your kids off their seats and on their feets dancing in worship to God. Babylon’s music is unique among the rest as it’s goal is to suggest an ancient time and place with very fun, modern instruments and arrangements. Through It All kicks off the music with mysterious and exotic chords that reflect a middle eastern melody to help kids connect with Daniel’s belief that his God is faithful and true. We like Watching Over You with it’s modern pop beats including lots of shouts and nah nah nahs the kids will love to repeat. Going back to the nineties, Rich Mullin’s worship favorite Awesome God is a perfect choice for the Babylon theme with it’s minor melody and triumphant, kingly sound. 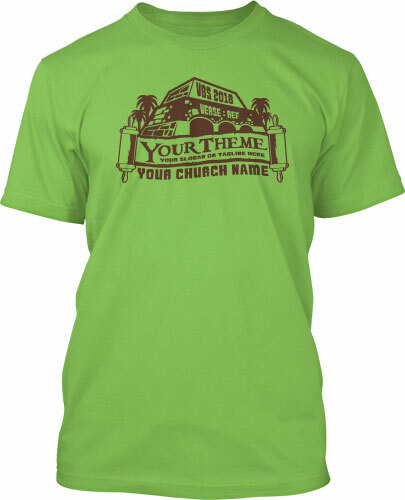 Going further back to the 70s, Jehovah Jireh will have the kids dancing like a Greek wedding. It’s easy to imagine this great tune as the walk-in music for kids every day. KEEPING IT REAL: What we love most about Group’s Holy Land Adventure VBS curriculum is their attempt at keeping the story real and true to the time and place. Sure, kids are still play-acting, but the difference comes in the details used to help kids understand that the story of Daniel is not a fairy tale, but a true story from the truest book around. A great example of this is the animal characters used to tell the stories throughout the week. Rather than being simply goofy cartoon characters, they represent the gilded characters carved into the Babylonian castle walls. These were used to tell stories to the people in ancient times, and they continue to do so today. Other points of realism in the curriculum are crafts that reflect real Babylonian jobs and the breaking of kids into the tribes of Israel. PRO-TIP: It’s so easy to turn VBS into a land of make-believe. Especially for the older volunteers who feel like they missed out on having something so fun when they were kids, the temptation to pretend can be strong. But kids might get the wrong message that the Bible stories are just as real as the stories told at Disney World. Spend time working with your volunteers to help them understand that even though we’re having fun, the stories are true as true can be. 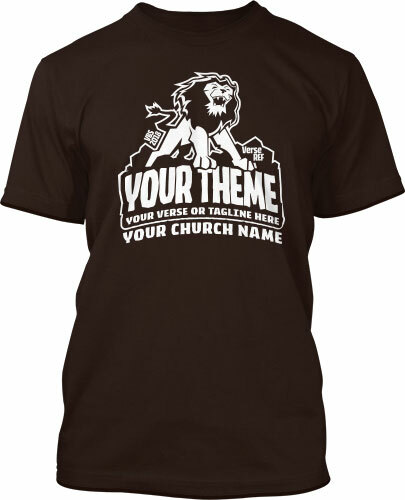 Find a template or get a custom design! EXTRAS: It’s always fun to see the crafts, gizmos, and toys offered by Group to support their theme and the message. Here are our top 3! Cylinder Seal Kits – Make your own Babylonian autograph like King Darius with “cuneiform” rolling stamps. Kids can customize their very own decorative signatures that roll out along paper or imprint on soft clay. Hand Warmers – While King Nebuchadnezzar’s fiery furnace was much hotter, the lesson will still hit home when kids hold these quick-warming heat packets. It’s a tangible way to bring the message home that a hot furnace would not be a fun place to be thrown. Garden Box (for Operation Kid to Kid) – This we love in concept. A cardboard garden box that kid fill with seeds to illustrate the transformation that can happen when kids support mission work in Haiti. 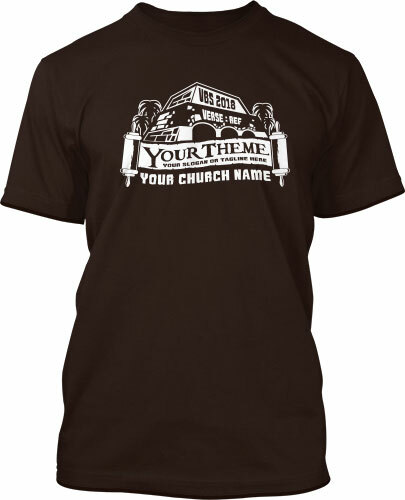 We stink at growing things, but we’re sure somebody at your church can get your seeds growing lickety split! 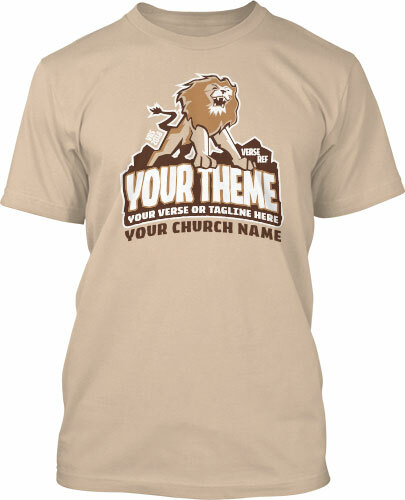 Purchase or pre-order your copy of Babylon VBS from Group HERE. 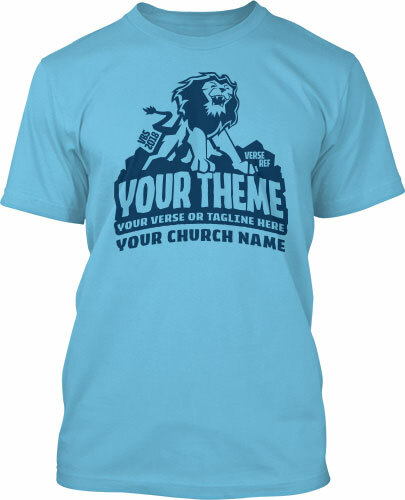 Make Your Lions Roar: Request a free digital mockup of your 2018 VBS t-shirts today and get your team excited!